FORM & FUNCTION LLC creates remarkable interior and outdoor spaces. A well planned and executed design enhances quality of life, protects the environment, reduces maintenance, increases sustainability, and adds property value, ultimately saving both time and money. Vicki O’Neal, the founder and creative director, has more than thirty years as a design professional and is associated with and certified by top professional organizations and state agencies. Her expertise, vision, and experience bring an unusual mix of skills to every project. With no design bias or particular inclination toward any style, she is equally comfortable creating spaces with a classic, period, contemporary, or eclectic expression. Her passion and talent translate to a design that is unique for your project, lifestyle, or business. Each project is different, and the services required vary as much as the design solutions themselves. With flexibility to respond accordingly, FORM & FUNCTION tailors its scope of work to address the unique needs of each particular project. Residential projects range from single rooms to estates. Commercial projects vary extensively − please inquire. In both private and light commercial settings, our services may be utilized for architecture, interior spaces, landscape designs, and outdoor living environments. Each design project begins with a get-acquainted meeting to become oriented to the client’s objective, conduct a visual assessment, and photo document the existing conditions. For design projects, an estimate for fees is subsequently prepared. To establish a scope of work and the design fee estimate, recommendations are made regarding the appropriate level of design drawings and details required for proper construction and implementation. The up-front design process and the resulting drawings represent what ultimately gets built. For the best outcome, the design phase justifies an appropriate allocation of the project budget. The design process is guided by a strongly held belief that good design is timeless, and our time and energy is devoted to ensuring the best possible outcome for your project. While on the path to meet your needs and objectives, we will incorporate functionality, beautiful aesthetics, longevity, and practicality to ensure many years of satisfaction and enjoyment in your new environment. Each project, regardless of size, goes through the same processes. The phases may be short and almost imperceptible for smaller projects, or more time may be involved for and between phases for large-scale projects. The phases include due diligence (fact- finding), schematic design, design development, documentation, administration, and implementation. These phases often overlap one another as projects progress in an organic flow. FORM & FUNCTION may be contracted for part or all of the project phases. The first step in the design process is to create an “as-built” drawing documenting the existing floor or site plan and 3D conditions. After carefully evaluating all of the client objectives and design criteria, site conditions, and any research needed, the schematic design work gets into full swing. Frequently two or three layouts and concepts are generated as one idea leads to another. 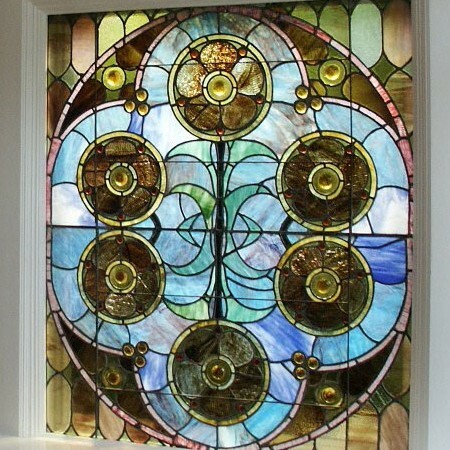 The designs are presented to the client, and the resulting final design is often a combination of elements. Vicki is a master of space planning. Especially for additions, renovations, and reconfigurations, she is able to take full advantage of every available square foot, sometimes with ingenious and clever reuse and adaptation of space. Typically, all project drawings are prepared utilizing AutoCAD software, a powerful design program that provides flexibility in the creation of digital drawings and illustrations. Throughout the project, the use of AutoCAD facilitates drawing distribution, expediting communication. The designer and client function as a team and work hand in hand during all phases of the project. FORM & FUNCTION prepares project drawings from concept through construction drawings for permit if needed. These drawings may include plans illustrating furnishings and fixtures, architectural dimensioned drawings and details, and other illustrations as required for implementing the project. 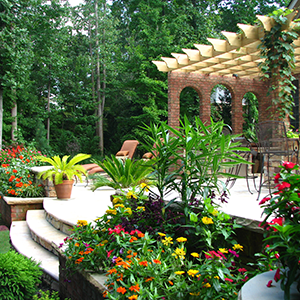 Landscape designs may include many of the same drawings as well as planting plans and details. Depending on the nature of the work and its complexity, sometimes other professional consultations, expertise, or drawings are required. Those may include architecture, engineering, and smart technology. Construction and implementation are the final steps in each project and the last word, bringing the project to life. As requested, FORM & FUNCTION provides project management and turn-key implementation. Through partnering with contractors, tradespeople, and skilled artisans to construct, outfit, and detail your project, FORM & FUNCTION insures your project is carried out with the design intent uncompromised. The resulting physical, functional, and visual manifestation is an outcome of all that has come before. It should be the best it can be. 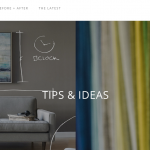 FORM & FUNCTION LLC offers customized products, furnishings, and installation services to ensure a total functional, aesthetic, and visual experience. These may be contracted as a part of a design project or as a separate service. Products include furniture, rugs and other floor coverings, custom window coverings and draperies, art, accessories, lighting, and plantings. For design projects, a fee estimate will be quoted after the initial meeting. A deposit of one-half of the design fee is required for the project to begin. For photography and editorial rates please inquire directly.